Reception Upon Arrival At The Railway Station And Drive To Dharamshala Enroute Visiting Jwalamukhi Temple , On Arrival At Dharamshala Check In To The Hotel. Dinner And Overnight Stay At Hotel. After Breakfast, Today Drive To Local Sightseeing Including Official Residence Of Dalai Lama In McLeod Ganj, St John Church, Monasteries & Bhagsunath Temple, The Oldest Temple In Dharamshala, And Overnight Stay At Hotel. After Breakfast Check Out From The Hotel And Drive To Dalhousie (130 Kilometers). 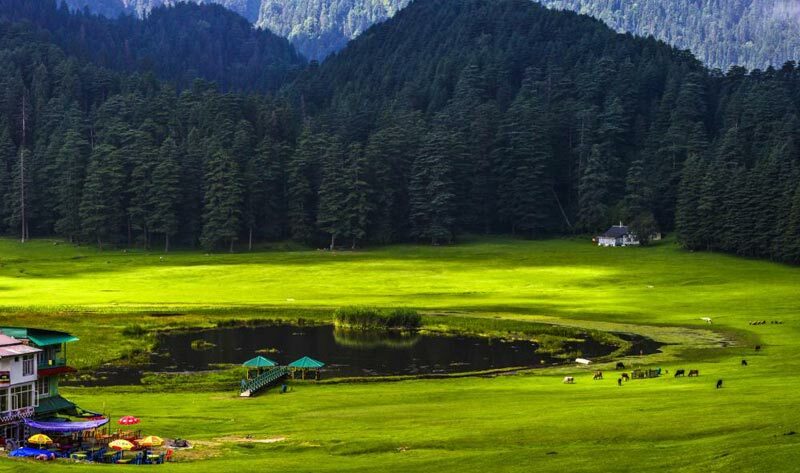 Dalhousie Is Popular Hill Station Situated At 2040 Mts In The Outer Slop Of The Dhauladhar Range Of Himachal Pradesh. On Arrival, Check In To The Hotel. Dalhousie Has Been Named After The British Governor - General Of The L9Th Century, Lord Dalhousie. Surrounded By Varied Vegetation - Pines, Dodders, Oaks And Flowering Rhododendron. 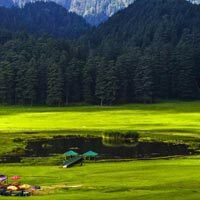 Local Sightseeing Of Dalhousie Includes Visit To Panchpulla, Subhash Baoli And Drive To Khajjiar, One Of The Most Scenic Plateau Known As The Mini Switzerland Of India And Is Surrounded By Dense Pine And Deodar Forests. There Is A Small Lake In The Center With A Floating Island And 9-Hole Golf Course Here, Enjoy Zorbing & Paragliding. Return To Hotel, Overnight Stay At Hotel. After Breakfast Drive From Dalhousie To Amritsar A Distance Of 250 Km And 6 Hours Drive. Witness The Retreat Ceremony At Wagah Border, And Back To Amritsar. Sightseeing Of Golden Temple (Sachkhand Shri Harmandir Sahib) Darshan, Jalyanwala Bag And Drop At Railway Station / Air Port.